Lockheed Martin has launched a science, technology, engineering and math (STEM) scholarship program for high school and college undergraduate students planning to pursue a major in engineering and computer science. “We’re looking for students who are creative and innovative - skills that are necessary for success in today’s high-tech economy,” says Patricia L. Lewis, Lockheed Martin senior vice president, human resources. Bethesda, MD-headquartered Lockheed Martin is a global security and aerospace company that employs approximately 100,000 people worldwide and is principally engaged in the research, design, development, manufacture, integration and sustainment of advanced technology systems, products and services. This year, the company received three Edison awards for groundbreaking innovations in autonomy, satellite technology and directed energy. The company’s new STEM scholarship program will continue to add up to 200 new recipients - at $10,000 per student - each year for a minimum total investment of $30 million over five years. The program is part of a series of investments Lockheed Martin is making in education and innovation as a direct result of tax reform. “What Lockheed Martin is offering students is going to provide unprecedented opportunities for years to come. 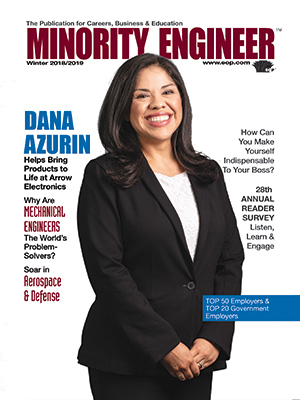 It's truly a game-changer," says Raquel Tamez, CEO, Society of Hispanic Professional Engineers (SHPE). “For the last decade Project Lead the Way (PLTW) has been grateful for the opportunity to work with Lockheed Martin to prepare students for careers in STEM - from school grants and Engineers in the Classroom to the Lockheed Martin high school internship program,” says Dr. Vince Bertram, president and CEO, PLTW.